If you have any questions, drop us a line at support@petcube.com. 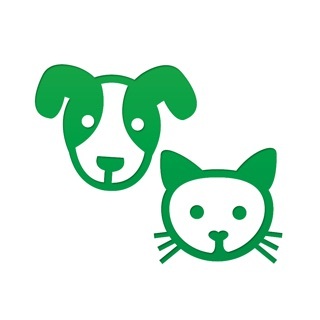 We’re happy to assist you and take any feedback about the Petcube app or your Petcube camera. - Family members whom you shared the camera with now can control Care Sleep/Awake mode and set its schedule. - We fixed issues with the Care notifications that were observed lately. Moreover, you will now get it faster than​ previously. - ApplePay became available for the Care subscription, no more time lost in copying lines of digits for your card. Love the app. Occasional glitches. I like that you can change all the settings for my treat size and distance the treats are thrown and the volume of the speaker in the camera. I also love the ability to take stills and send them to social media. The videos saved when motion is detected is cool to go through during my breaks in the day or when I'm out of town. Love the zoom when it works. It crashes sometimes when I put it in landscape mode and it also constantly notifies me that it "detects motion" if someone drives past my house and their headlights shine into my windows. It also tells me I have low connectivity often and I am in a small apartment and not far from the modem. It works more than it glitches though so I'm a happy camper! Love the Petcube to start off. I love being able to check in with my little guy and see what he’s up to from time to time and even talk to him! The Petcube itself would get 5 stars, but this app, that’s a different story. It’s extremely laggy. Also, two way sound doesn’t work. You can speak through the cam, but you won’t be able to hear anything in real time. And if you do hear something, it will be super chopped up. The echo reducer doesn’t work very well either. I also get their business model of subscriptions.. but they could have at least given us a day of saved videos instead of 4 hours. I mean we already dropped 200 bucks for the cam, but we need to spend more for just a day of video history? I’m all for capitalism, but that’s called greed my friends. First off, I'm only giving two stars because the video on the PetCube is good. That's about all I can say about it. The laser is completely janky so I don't even try to use it anymore. The two way audio is useless (also extremely annoying that you can't do one way to just hear your pet on the other side). I haven't even STARTED into the piece of junk they call an app. You click the play button and you'd think you would connect straight to the camera, right? Nope. Takes you to another screen to then hit a tiny button to "connect". Not to mention 99% of the time there's a "connection error" and I have to completely close out the app and reopen it to try to connect. Save your money on this hunk of junk and get a real security camera like an Arlo with audio and an app that works. Hi, thank for your review. This is Marina, I'm the Head of Customer Care Team at Petcube and I'd love the opportunity to help. Please contact me at marina@petcube.com and I'll do my best to improve your Petcube experience and will replace your Petcube if needed.